Discover the finest apartments in Tampa, Florida at Park Pointe Apartments. We offer three of the largest floor plans in the area, which feature one, two, and three bedrooms. You'll love our gated community that includes an array of amenities for you to enjoy such as a sparking pool, playground, and cardio room. Best of all, we now have our remodeled apartments ready to rent. Interiors feature updated kitchens, walk-in closets, washer/dryers, and ample interior storage. Most importantly, we are conveniently located with access to the Tampa International Airport, Raymond James Stadium, International Mall, Art Institute of Tampa, and St. Joseph’s Children Hospital. 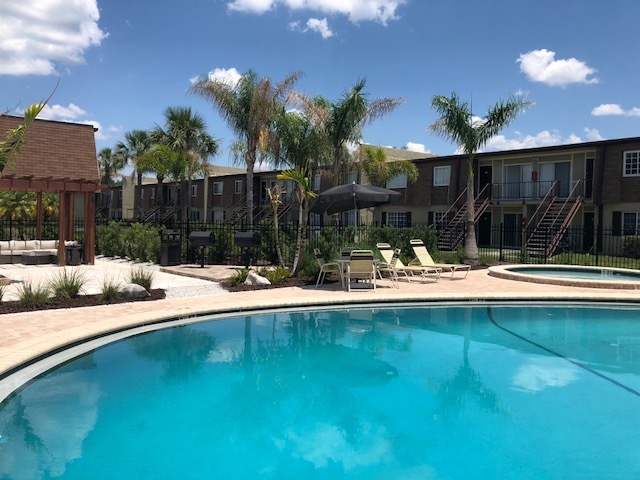 Park Pointe Apartments is also near all major roadways including Hillsborough Avenue, Dale Mabry Highway, Interstate 27, and Veterans Expressway. Experience the best that Tampa has to offer at Park Ponte Apartments! Park Pointe Apartments is conveniently nestled off of W Hillsborough Avenue, a major highway in Tampa. Our location provides you with close proximity to other major highways such as Interstate 275, Interstate 4, and Veterans Expressway. If you decide to journey down W Hillsborough Avenue, you will run into a plethora of restaurants: grab some Chinese takeout from Jade Garden, explore worldly cuisine at the family-friendly Colombian restaurant, La Cabana, or order a pizza from over 10 local pizza companies. Ready for some fun in the sun? Old Tampa Bay is mere minutes from our community with the promise of a beautiful natural setting, endless tours, and constant sunlight. It’s all available to you once you make Park Pointe Apartments your next home!